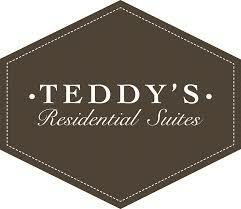 The suites and staff at Teddy’s Residential Suites New Town, North Dakota and Watford City, ND, are extraordinary! Each of our residential-style suites features a full-size, fully-equipped kitchen, large work desk, complimentary high-speed internet access, and plenty of space to relax! Take advantage of your kitchen and prepare your meal just as you like them or kick back and watch a movie on your 53” HD Television. Unwind in Teddy’s lounge featuring nightly cocktail specials and small plates.